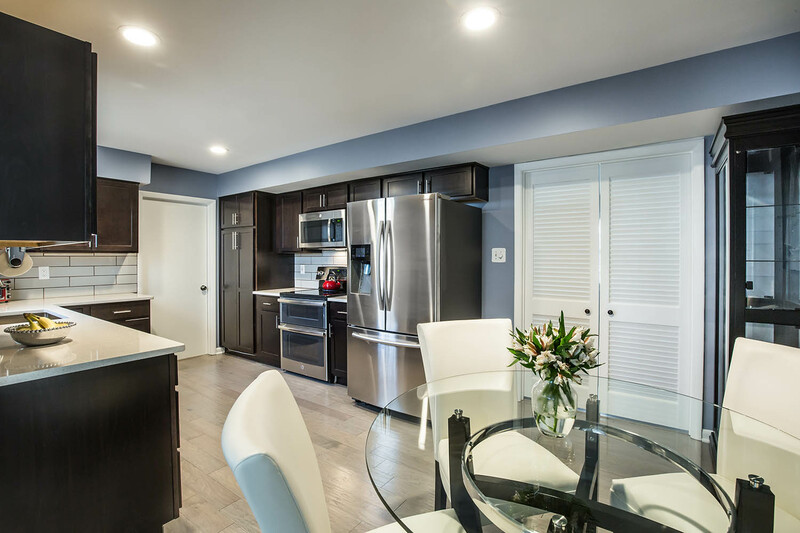 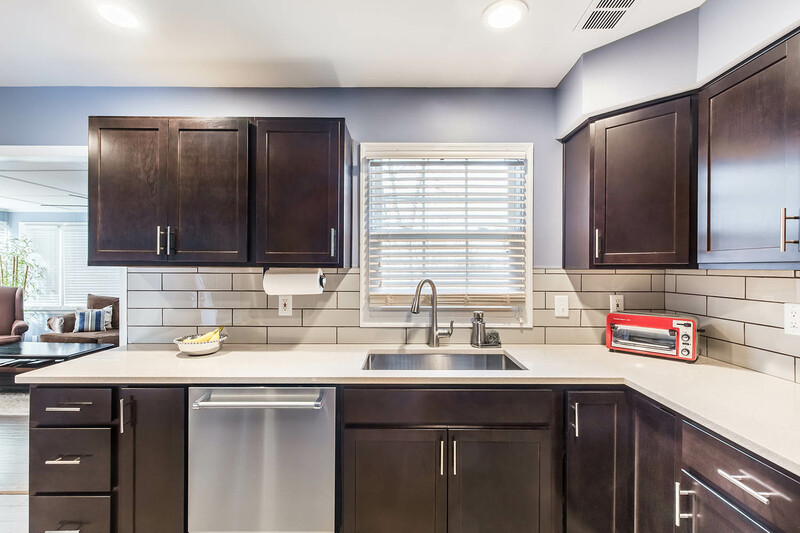 Our client purchased a home for retirement and was faced with a dysfunctional kitchen – cabinets with multiple door styles and broken hinges, a cracked countertop, and inadequate lighting. 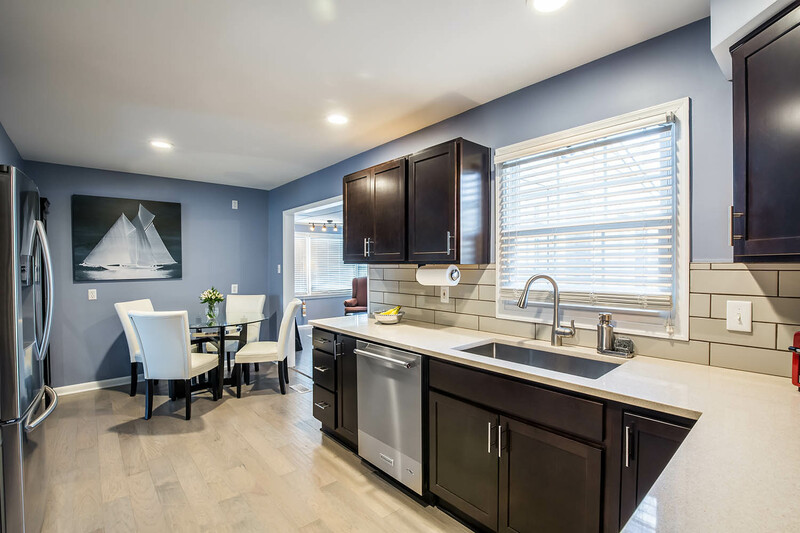 We embraced her love of blue and created a calm, beautiful kitchen. 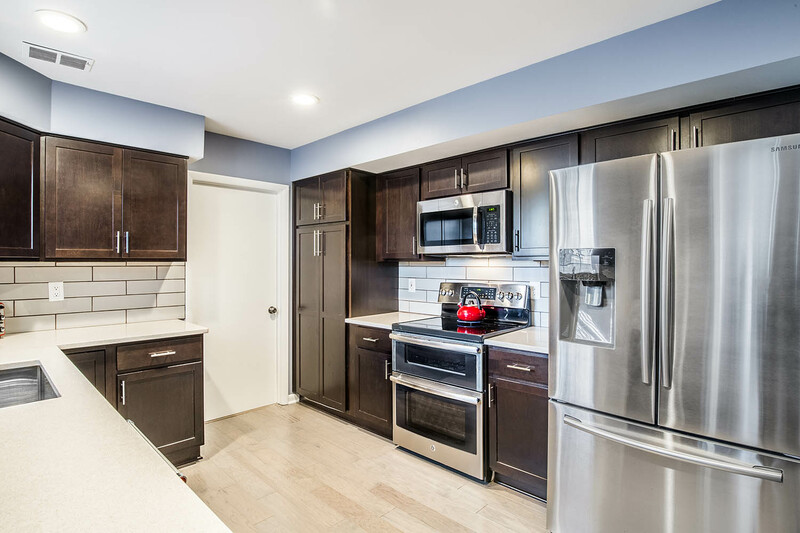 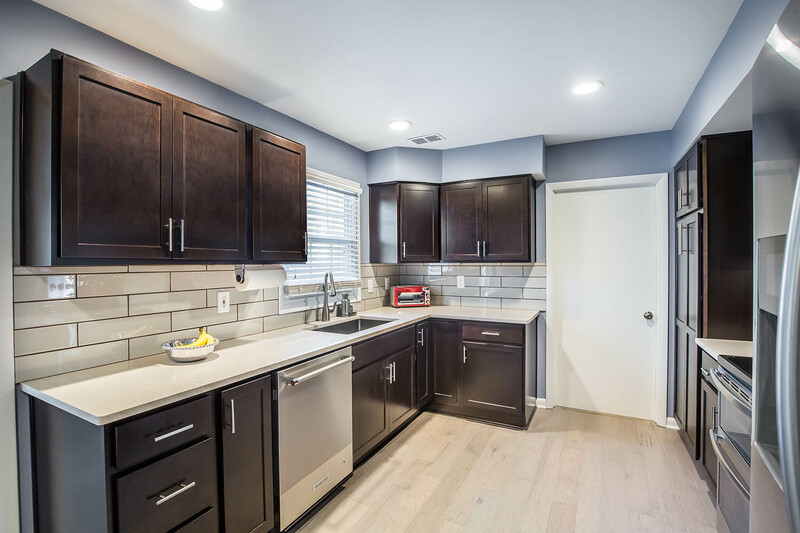 We selected cabinets with espresso stain, stainless appliances and finishes, Silestone quartz countertop, and sleek, large format subway tiles with contrasting espresso grout.